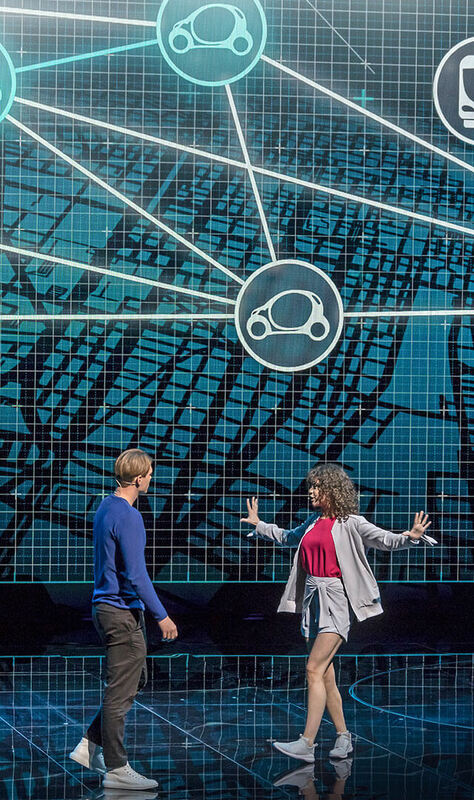 A musical as the centerpiece of an automotive press conference? Such an event is certainly unlikely to have been seen before, on the eve of an IAA motor show. 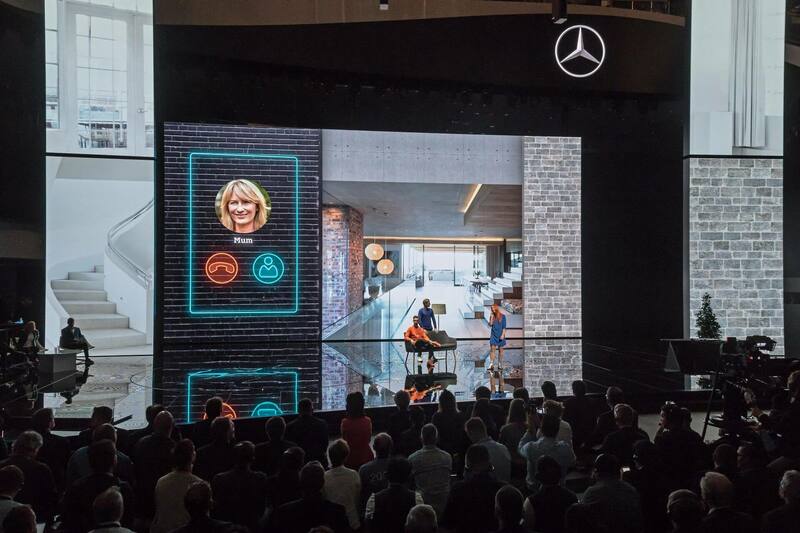 OSK staged the world premiere of the smart vision EQ fortwo as a popular musical production for an audience of 1,500 international journalists and influencers. 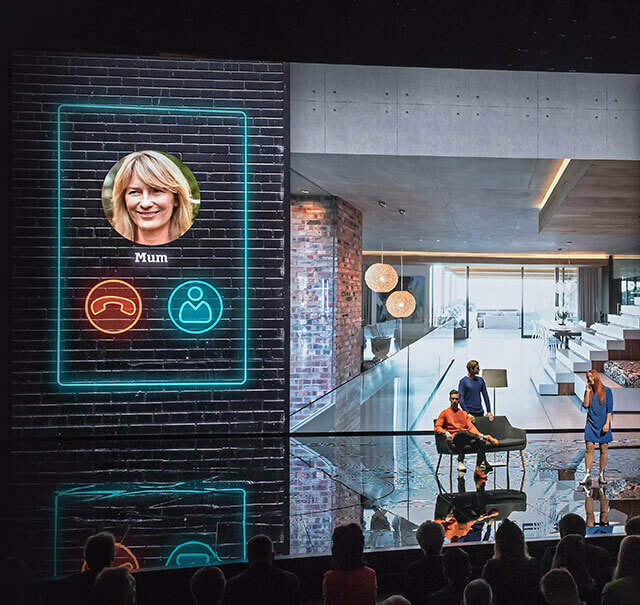 The show brought together product information, song and drama in a media-friendly love story. 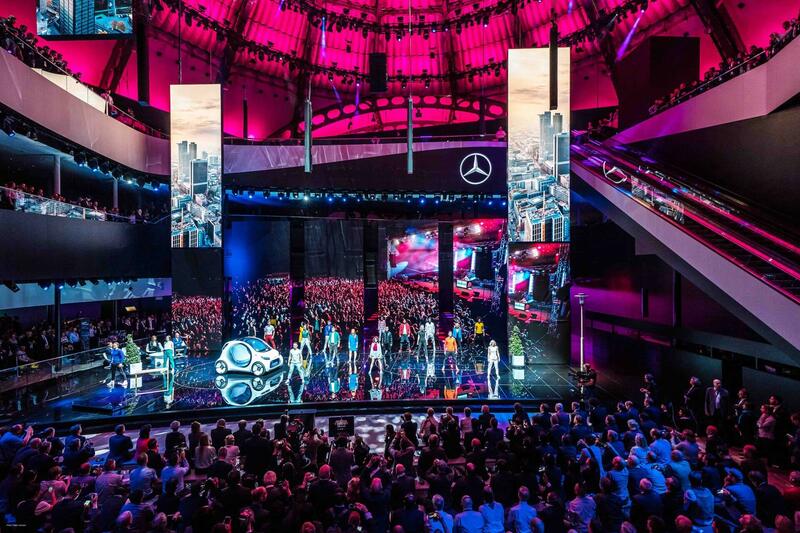 The idea for this rather unusual presentation was sparked on a long-haul flight from Shanghai to Cologne, during which the on-board entertainment featured the surprise musical hit of 2017, La La Land. 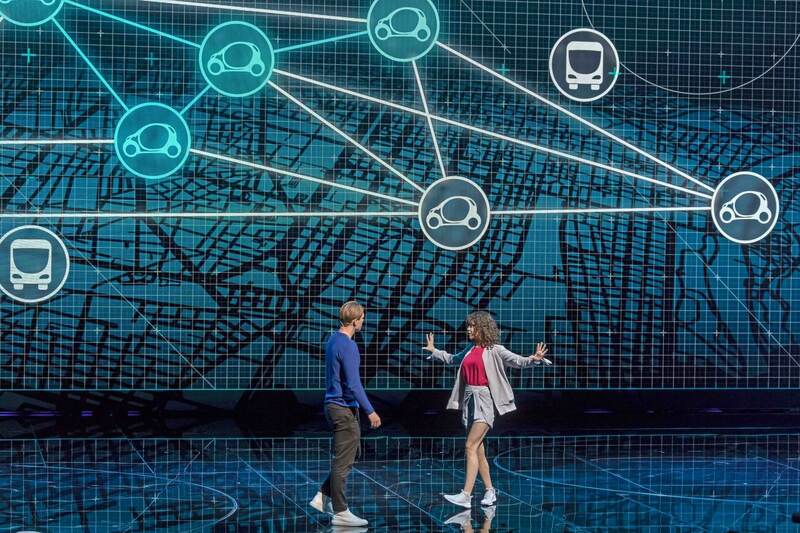 Why not stage a romantic comedy drama with young actors, colorful scenery and the smart car taking the leading role? The idea generated immediate appeal as a fitting spectacle for the marque. From a practical perspective, the project presented two major challenges. First, as an embedded element of the press conference, the piece could not run for any longer than five minutes. 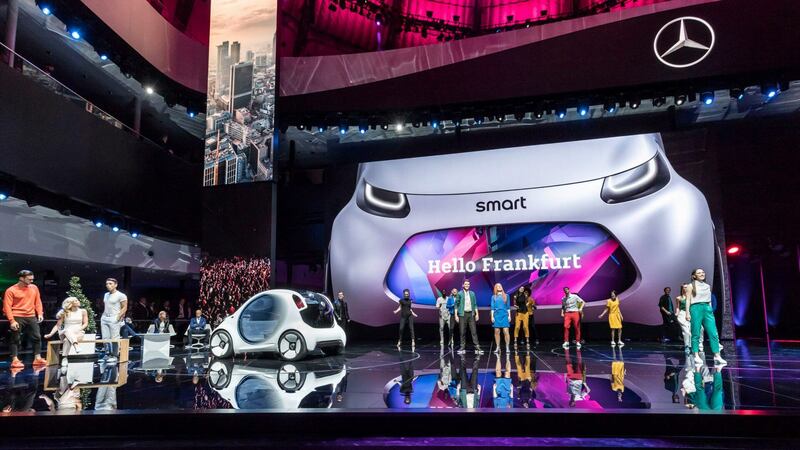 And second, there was a lot to tell about the smart vision EQ fortwo. 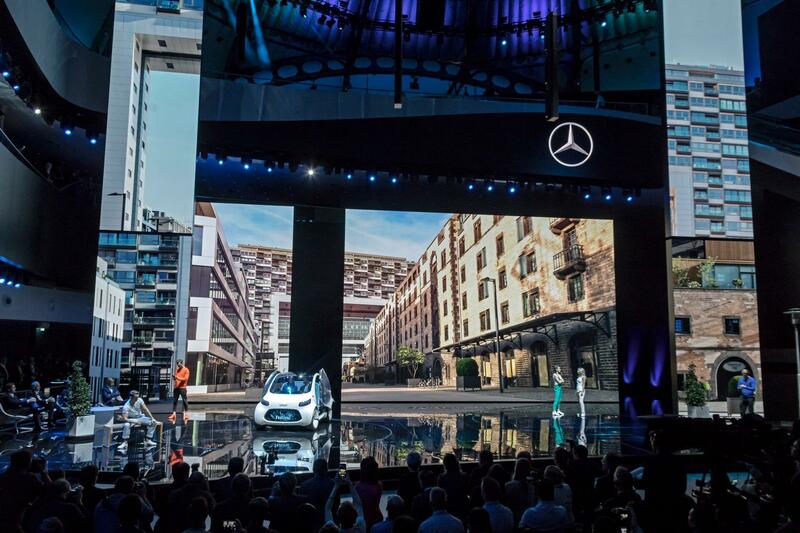 After all, it represents a clear vision of the future of urban mobility and is, at the same time, the most radical car-sharing concept ever – fully autonomous, highly communicative, friendly, totally customizable and, of course, electric. All these messages were to be clearly delivered during the press event within the framework of a light-hearted stage show.